Updating the housing element of local general plans. A regional transportation plan (RTP) outlines transportation investments for a region. It is drafted by a metropolitan planning organization (MPO) or regional transportation planning agency (RTPA) every four years (five years in regions that have attained federal air quality standards) and includes a 20-year outlook for likely growth in the region. The RTP is the basis for state funding of transportation projects. Projects that are not in the RTP cannot be “programmed” for state or federal funding. The Regional Housing Needs Assessment (RHNA) is mandated by State Housing Law as part of the periodic process of updating local housing elements of the General Plan. To increase public participation and enhance collaboration between residents, state agencies and local agencies in regional planning, SB 375 requires specific public participation plans for five types of decisions. 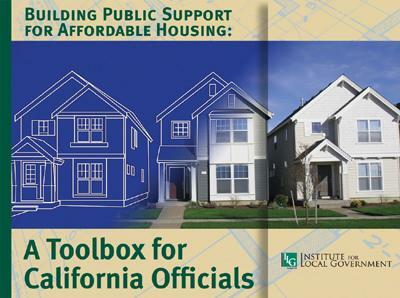 This resource outlines a number of planning and public participation tools local agencies can use to address concerns related to affordable housing.